Safiery is proud to offer two exceptional support programs, providing unparalleled support coverage on new products. Because when it comes to enjoying the well-lived life on the water, or while camping, peace of mind should be a given. Our goods come with guarantees that cannot be excluded under Australian consumer law: You are entitled to a replacement or refund for a major failure and compensation for any other reasonably foreseeable loss or damage. You are also entitled to have the goods repaired or replaced if the goods fail to be of acceptable quality and the failure does not amount to a major failure. 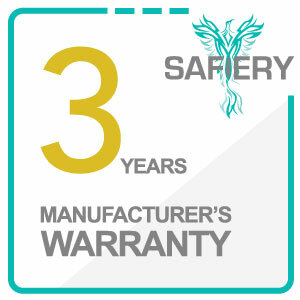 When you purchase Safiery products, you will also receive coverage from the SIMARINE Manufacturer's Warranty. You can also obtain additional benefits by subscribing to the optional Safiery Care Plan. Should your product be defective, you can choose to make a claim under Australian consumer law or the Manufacturer's Warranty (whichever is applicable). Non–SIMARINE branded products purchased from Safiery are also eligible for coverage under Australian consumer Law, but are not covered by the Manufacturer's Warranty or the Safiery Care Plan. 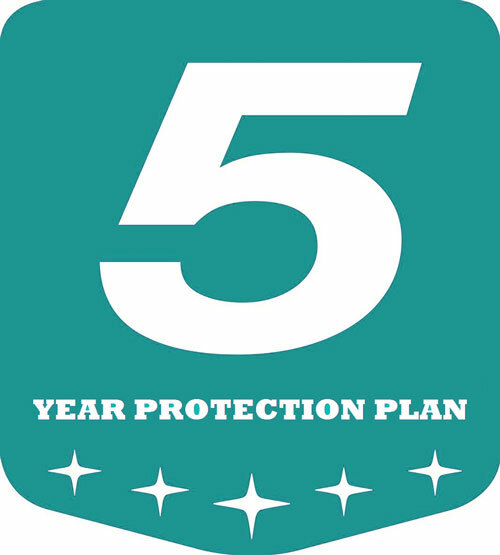 Summary of Australian consumer law, the Manufacturer's Warranty, the Safiery Care Plan. The above summary is subject to the full terms and conditions applicable to the Manufacturer's Warranty listed below and Safiery Care Plan. *This page has been prepared by Safiery and its contents are not endorsed by any third party. For information on Australian consumer laws, please visit Australian consumer law website at http://www.consumerlaw.gov.au. In Australia, the buyer has rights under the Trade Practices Act or any other Commonwealth or State Legislation, which cannot be modified or excluded by agreement. Safiery Pty Ltd (‘SPL’)complies with these legal rights. Cycling with deep discharge: Deep discharges over 80% will decrease cycle life. Deep discharges of 100% require prompt battery recovery for continued operation. A deep discharge left unattended is not warranty. Elevated temperatures: A fully charged Lithium Battery stored at around 40°C loses approximately 30-35% of its capacity in a year without being used. This is not Warranty. Higher Capacity chargers than specified and higher capacity discharges than specified are harmful and reduce battery life to half, and Enerdrive can attest to this through our stringent testing regime. · 5 years for the ETFE Layer against delamination, peeling or similar defects. · For the additional 3 year pro-rata warranty to be effective: 1. please complete a test report and email it to admin@safiery.com. 2. Safiery will confirm that the test report reflects acceptable operation of the panels. That these products to be free of defects in materials and workmanship for the period specified without additional charge. The rights under this warranty sit alongside Australian consumer law guarantees, which cannot be excluded.There is no other warranty, neither verbal nor implied other than this. Any implied warranty of merchantability of fitness for a particular purpose of the Simarine product is limited in duration to the duration of this warranty. Any defective unit that is returned to SPL within 30 days of the date of purchase will be replaced free of charge. If such a unit is returned more than 30 days but less than three years from the purchase date, SPL will repair the unit or, at its option, replace it, free of charge. If the unit is repaired, new or reconditioned replacement parts may be used, at manufacturer’s option. A unit may be replaced with a new or reconditioned unit of the same or comparable design. The repaired or replaced unit will then be warranted under these terms for the remainder of the warranty period. The customer is responsible for the shipping charges on all returned items back to SPL. Anodized, painted, stainless steel surfaces or powder coating surfaces are warranted for defective material/application but not against normal wear and tear, oxidisation, fuel or solvents damage. This warranty does not cover accessories or consumables. Examples are adapters, batteries, wire, connectors, fixing rubbers, wafers. This warranty does not cover damage or defects result from normal wear and tear (including chips, scratches, abrasions, discolouration or fading due to usage or exposure to sunlight), accidents, damage during shipping to our service facility, alterations, unauthorized use or repair, neglect, misuse, abuse, failure to follow instructions for care and maintenance, fire and flood. This warranty does not apply to damage to units from misuse or incorrect installation/connection. Misuse includes wiring or connecting to improper polarity power sources. If you are experiencing any problems with your unit, please contact our customer service department at support@safiery.com or Phone 07 3040 9056 before returning product to a dealer or us. After speaking to a customer service representative, if products are deemed non-working or malfunctioning, the product may be returned to the purchasing location within 30 days of original purchase. The purchaser of an SPL Product will be provided with this warranty either in the operating manual and/ or a copy via email and/or an electronic stored copy of this warranty. You can make your Warranty claim with your dealer in the first instance. Warranty enquiries can be made to sales@safiery.com by email, by letter to address below or by phone to 07 3040 9560. If your problem is not covered by this warranty, contact our Support Team at support@safiery.com or phone for general information if applicable. Please have your serial number as your reference for all communications. Warranty repairs and replacements will be undertaken by SPL or an authorised repairer. Warranty repairs and replacements will be free of charge unless an on-site repair is requested in which case a service call fee will apply. This Warranty is in lieu of any and all warranties expressed or implied by SPL and/or their dealer. * Note: Proof of Purchase from a Authorised SPL Dealer is required to verify the product warranty. See our policy on Grey Importsfor more information.